Florida is home to some of the world’s most popular theme parks. Everything from amusement parks to water parks can be found across this sunshine state. Holidays in Orlando surround you with the world-famous theme parks – Walt Disney World, Universal Studios, SeaWorld, Legoland and Busch Gardens. Walt Disney World gives you a magical experience, with theme parks and water parks, including the instantly recognisable pink Magic Kingdom castle, Epcot and Disney's Animal Kingdom Park. Enjoy shows, thrill rides and more. , see Shamu the whale, ride the aqua-themed roller coasters and swim with dolphins, all at SeaWorld, one of Florida’s best-loved water park resorts. , the only Florida interactive theme park where LEGO comes to life and kids take control. LEGOLAND is built for kids. The 150-acre interactive theme park offers more than 50 rides, shows and attractions, restaurants, shopping, a breathtaking botanical garden and the LEGOLAND Water Park all geared to families with children ages 2 to 12.
, gets you close to animals and enjoy a wide selection of theme park rides at Busch Gardens in Tampa. This animal inspired theme park offers thrills and activities for all ages. 10 miles away from our villa, Encounter exotic animals and exciting adventures at Disney’s Animal Kingdom park, one of the largest animal theme parks in the world. Home to more than 2,000 animals across 300 species, the park reflects Walt Disney’s dedication to conservation and is committed to animal care, education and research. Explore 6 enthralling lands: Oasis, Discovery Island, Africa, Rafiki's Planet Watch, Asia and DinoLand, U.S.A. areas. 11 miles away from our villa, Movie magic comes to life at Disney’s Hollywood Studios, awash in the glitz and glamour of Hollywood’s Golden Age. Step into the action with attractions based on blockbuster movies and top TV shows—including Star Wars—and delight in exciting entertainment that puts you center stage. With the vibrancy of a bustling movie set, this park features 7 sections: Hollywood Boulevard, Echo Lake, Muppet Courtyard, Sunset Boulevard, Commissary Lane, Pixar Place and Animation Courtyard areas. 13 miles away from our villa, Discover frosty fun for the whole family at Disney’s Blizzard Beach water park, a one-time ski resort that has melted into a watery wonderland. Zip down the slushy slopes of Mount Gushmore on one of the world’s tallest and fastest waterslides. Float down the tranquil river and sunbathe on the white-sand beach. Children under 48 inches tall can even splash around in their own water play area with a snow-castle fountain and kid-sized waterslides. 13 miles away from our villa, Explore exciting attractions, enchanting international pavilions, award-winning fireworks and seasonal special events. Celebrating the human spirit, Epcot has 2 distinct realms: Future World, which features technological innovations, and World Showcase, which shares with Guests the culture and cuisine of 11 countries: Mexico, Norway, China, Germany, Italy, the United States, Japan, Morocco, France, United Kingdom and Canada. 14 miles away from our villa, Fairytale dreams come true for children of all ages at Magic Kingdom park. Delight in classic attractions, enchanting fireworks, musical parades and beloved Disney Characters across 6 whimsical lands. See fantasy become a reality as you explore Adventureland, Frontierland, Liberty Square, Fantasyland, Tomorrowland and Main Street, U.S.A. areas. Zoom through space, become a swashbuckling pirate and watch fireworks light up the sky over Cinderella Castle. 15 miles away from our villa, Escape to Disney’s Typhoon Lagoon water park for a storm of fun in the sun! Snorkel with sharks, stingrays and tropical fish in the coral reef. Plunge down rushing rapids, sunbathe on the sandy beach and glide down the lazy river on a relaxing raft ride. After an epic typhoon hurled surfboards into palm trees and tossed boats like toys, the storm-soaked Mount Mayday became a topsy-turvy oasis of water-filled adventure! 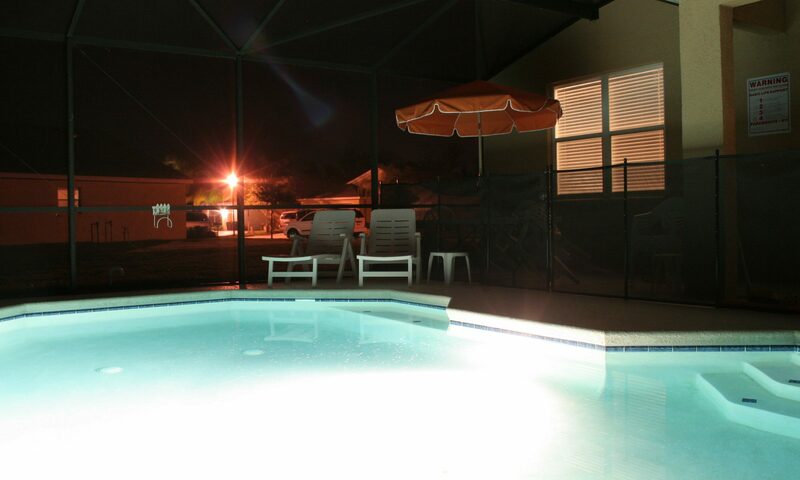 12 miles from our Villa, Great family fun on International Drive, Orlando and Hwy 192, Kissimmee. Orlando has 4multi-level go-kart tracks, 13 rides and 120 arcade games on 5 acres of fenced in fun. Kissimmee has 2 extreme multi-level tracks, including the world’s steepest banking turn, 2 speed tracks, and 15 rides over 11 acres. Our tracks are so unique that we have 4 US Patents on go-kart track design. Both parks have a dedicated area of pre-school rides for the little ones. For more than 50 years SeaWorld has been a leading theme park and entertainment company delivering personal, interactive and educational experiences that blend imagination with nature and enable our guests to celebrate, connect with and care for the natural world we share. Discovery Cove is a one-of-a kind experience where you can swim with bottlenose dolphins, feed tropical birds, play inches from a family of otters, and even walk on the ocean floor—all in one day. Between adventures, recharge with unlimited island fare and refreshments. With this all-inclusive experience, your family can unwind, explore, learn, and create memories that will last a lifetime. At Aquatica, SeaWorld’s Waterpark™, the water is as warm as the South Seas themselves – sometimes warmer actually! A state-of-the-art climate system adjusts the water temperature according to the weather so that it’s always just right - cool and refreshing in the summer months, but heated when the temperature drops. 20 miles away from our villa, For more than 60 years, Gatorland has been creating Fun, Smiles, and Special Memories for millions of visitors who have entered through its world-famous gator mouth entrance. Located between Orlando and Kissimmee on the South Orange Blossom Trail, Gatorland is one of Central Florida's classic attractions, and provides a unique and natural alternative to the larger theme parks of today. Gatorland is a 110-acre theme park and wildlife preserve, combining "Old Florida" charm with exciting, new exhibits and entertainment, making us Orlando's best half day attraction. Known internationally as the "Alligator Capital of the World," Gatorland provides affordable family fun showcasing thousands of alligators and crocodiles including four extremely rare leucistic "white" alligators. The free-flight aviary, petting zoo, one of a kind animal shows, natural alligator breeding marsh, and the "thrilling" Screamin' Gator Zip Line will ensure your day will be filled with Fun, Smiles and Special Memories! 25 miles from our Villa, Universal Orlando consists of two theme parks (Universal Studios Florida and Islands of Adventure), and a night-time entertainment complex (Universal CityWalk Orlando). Visitors get themed dining and shopping, a variety of special events throughout the year, and may even catch an actual film crew at work on the backlot. The original theme park in the resort, Universal Studios Florida opened on June 7, 1990, as a theme park that lets visitors "Ride the Movies". 40 miles from our Villa, LEGOLAND® Florida is built for kids. The 150-acre interactive theme park offers more than 50 rides, shows and attractions, restaurants, shopping, a breathtaking botanical garden and the LEGOLAND Water Park all geared to families with children ages 2 to 12. If you’re an animal lover planning a Florida family vacation, be sure not to miss the largest zoo in Tampa, Florida – in fact, one of the largest zoos in all of North America – Busch Gardens® Tampa. Kids Eat Free Card Kids Eat for FREE! The Kids Eat Free card gives you access to free meals at over 130 select Orlando restaurants! With the purchase of an adult entrance, children ages 11 and under can enjoy FREE meals to places like Bucca di Beppo, California Pizza Kitchen, Chik-Fil-A, Baskin Robbins and more! So go ahead, eat where you want to and save with the purchase of a Kids Eat Free card!